Traditionally, new parents are advised to organise their baby's mundan ceremony during his first or third year. Read on to know more. As you know, in most Indian communities a baby’s mundan or first haircut is an important rite of passage. It is done with the belief that it will purify and protect the child from evil eye. Traditionally, parents organise their baby’s mundan ceremony during his first or third year. This means that your baby will have to keep his soft and sometimes barely-there mane that long. 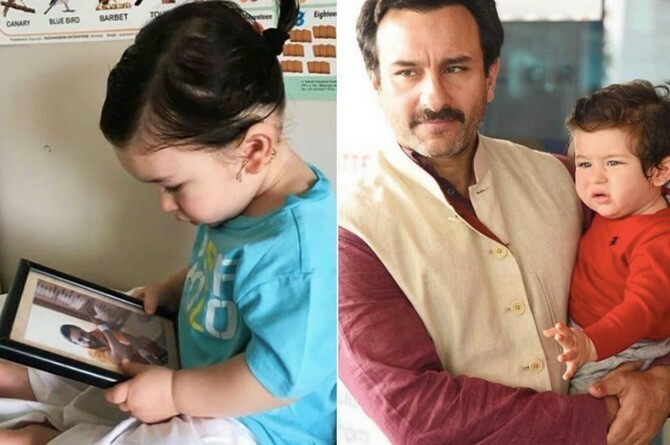 Just as is the case with one-year-old Taimur Ali Khan Pataudi. His star parents Kareena Kapoor and Saif Ali Khan have clearly thought it best to keep his luscious hair as is. Even tying it back, as seen in his recent adorable picture. But in case you are planning to give your child a mundan, read on to understand what you’ll need to know about this momentous milestone. Why do people perform a baby’s mundan ceremony? In some cultures, people believe that a mundan cleanses the baby of his previous life’s bad karma. Some believe that the hair a baby is born with is impure. So a mundan ceremony is meant to cleanse his body and soul. Other believe that mundan or getting rid of the hair helps to release excess heat and keep the baby feeling cool. There is also the idea that it stimulates cells and helps improve blood circulation. Tonsuring a child can also help relieve pain caused by teething. The elders at your home may suggest that you opt for an auspicious time and place for the mundan ceremony. This is usually based on the child’s birth date and time. But before you get on with the ceremony, you may have to clean the hair and keep it fresh and ready for tonsuring. What happens during your baby’s mundan ceremony? The priest may ask you to face the west side of the sacred fire. This way of sitting is considered auspicious. Your baby’s mundan will begin with tonsuring some of his hair as the priest continues to chant sacred hymns. After, a barber specialising in a baby’s mundan will be called upon to shave off the rest of your kid’s hair. In few families, the father may also perform the initial tonsuring ceremony as opposed to the priest. The priest will then wash your baby’s tonsured head with holy water or Gangajal. He may then draw a swastik on his head or even put some chandan (sandalwood) on it. 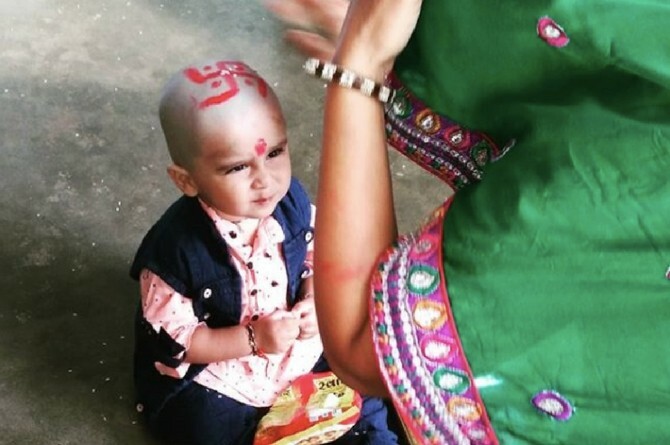 Traditionally, the shaved off hair is offered to a deity, especially if you go to Banaras for your baby’s mundan. However, most of the time the priests guide new parents about what they can do with the hair and/or how they can dispose it off. In some families, a small shikha or choti (a small tuft of hair) is left in the back. It is believed that this shikha or choti gives wisdom to the child and protects his brain. How to prepare your child for his mundan? Keep your baby well rested and well-fed before the ceremony. It may become difficult for you to handle a cranky and howling baby. Check the barber’s equipments and make sure he comes with a sterilised set of razors. Make sure you wash your baby’s head properly before the ceremony. Post your baby’s mundan, you must wash his head and apply antiseptic lotion to ensure that any nicks and cuts are not left untreated. With these precautions chances are your baby’s mundan will go just fine. It’s a crucial step in his life and one that you will cherish forever. If you’ve recently organised your baby’s mundan ceremony, make sure to share those pictures with us in our Comments section below.